Banyuls-sur-Mer: A resort town with a clean beach in the central bay. Follow seaside paths to quiet coves and beaches nearby. For splendid views, take the road up to the 13th century Madeloc Tower. 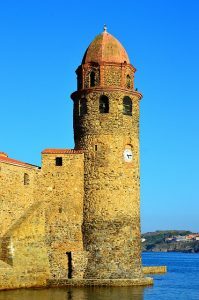 Collioure: A beautiful coastal place, with a traditional old town and a beach in the colourful centre. Port-la-Nouvelle: Attractions include 10 km of sand beach, a whale skeleton, and a busyfishing harbour (arrive around 9 a.m. for the seaside fish market). There are many others, and some are very popular… so they tend to be quite busy during high season.